Intercoat is a successful manufacturer of printable vinyl and self-adhesive laminates for the printing, advertising and label industries. 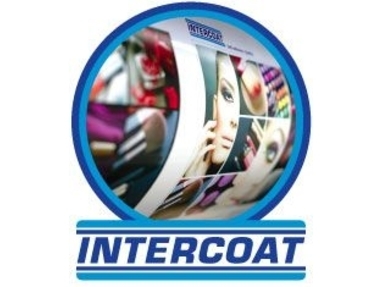 Intercoat’s recipe for satisfied customers world-wide is achieved through the painstaking selection of raw materials and the exclusive use of ecologically-sound, high-quality adhesives. As such, Intercoat has been a supplier of quality products to the leading finishers of the world for nearly 30 years. For all products Intercoat exclusively use water-based, acrylic adhesives – free of solvents and heavy metals (according to the European Packaging Directive 94/62/EC) – which also comply with the EN71/3 for application on toys. Intercoat printable vinyl is a quality monomeric 4-year product. 100 microns thick, this vinyl is B1 fire safety certified, and uses a high-end D18 Kraft liner. This is normally only found on the really expensive polymeric vinyls. This makes the vinyl much easier to handle during the application process, and helps to ensure the result is free from bubbles and ripples. The backing glue used on the greyback is the ultra-high adhesion P3XG grey dispersion glue, making the vinyl hard-wearing and suitable for long-term applications and giving a controlled initial tack for ease of application. Excellent range of monomeric PVC films, medium duration (4 years) Glossy or dusted Matte surface. High quality for UV and solvent wide format printing. 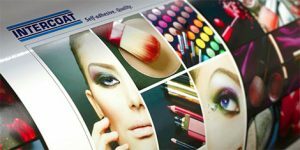 Hardly a market has shown such a rapid development in recent times as the digital printing one. No matter if you have a run of one, XXL-prints in outdoor advertising or rolling sales messages on public transport Intercoat meets the standard of today.